There are many incorrect assumptions made about Lamaze childbirth classes. Read below to see how Lamaze debunks these pregnancy myths. Reality: While focused breathing is the most recognized aspect of Lamaze, the ultimate goal of Lamaze childbirth education is to increase women’s confidence in their innate ability to give birth. Lamaze classes help women discover that there are many simple coping strategies for labor, including techniques such as movement and positioning, labor support, massage, relaxation, warm baths/showers and the use of heat and cold. Reality: Many women are afraid of the pain that is a normal part of childbirth. However, this natural bodily reaction actually protects you in labor. Responding to the pain—through changing positions, moving, massaging and/or moaning—will strengthen the contractions, help the baby settle into the pelvis and move through the birth canal and reduce pain perception. Childbirth classes help parents understand the value of pain and how to respond to it in ways that both facilitate labor and increase comfort. Reality: Lamaze childbirth classes provide information about natural pain relief options as well as epidural analgesia. While the ability to use many of the comfort techniques learned in class—such as changing positions, walking, and warm baths/showers— may be limited with the use of epidural analgesia, Lamaze education will assist parents in making informed decisions that are right for them. Reality: Lamaze that “works” has nothing to do with feeling pain, taking or avoiding medication or developing complications that necessitate medical interventions. Lamaze teaches you that nature has designed birth simply and close to perfectly, and that your body instinctively know how to give birth. Lamaze is working if you are able to trust the natural process of birth, have confidence in their ability to give birth, have the freedom to work with their bodies as labor progresses and are supported by health care providers, family and friends. Reality: Lamaze childbirth education provides the knowledge, skills and support to help you give birth with confidence and joy. Knowing that pregnancy and birth can be demanding on your body and mind, Lamaze seeks to help build your confidence and prepare you to navigate the choices and take an active role in having the birth you want. You’ve likely received a lot of information from many resources, and it’s easy to feel overwhelmed. 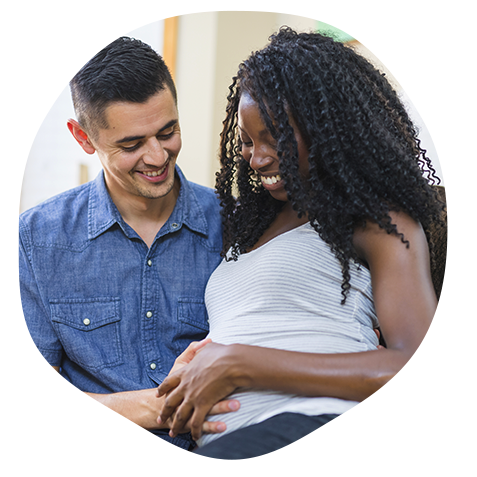 We’ll help you evaluate these resources to make safe and healthy choices that are best for you and your baby. Lamaze preparation is for everyone!